Kyla D. Pruitt is the CEO and founder of KylaNicole, LLC (born and raised in Joliet, Illinois). Kyla developed a passion for empowerment at an early age, dedicating her time and works to inspire, coach and invest in the minds and hearts of both men and women though the KylaNicole Brand and specializes in overcoming Trauma. In stimulating development, self-awareness, and true authenticity, Kyla has accomplished her goals by engaging in and hosting a series of events including “Loud Discussions” panels which feature open discussions of a variety of life themes, helpful tools and concepts from her self-help book titled “15 Ways To Improve Your Reality and from hosting the radio segment “’A VERY Loud Discussion’ “on 216 The Beat Atlanta. By redefining, reshaping, and redirecting mindsets Kyla aim to be a national asset, helping countless individuals overcome and strive in challenging hurdles within the journey of life. Additionally, Kyla specializes in developing and building young entrepreneurs and small businesses from a legalistic approach. Often, many business fail because they don’t spend enough time developing and protecting their brand legally. Kyla has extensive training and an advanced background in laws, policies, and stipulations that will impact your brand. She offers a variety of services from outlining your LLC to drafting contracts, agreements, or reshaping your business plan Kyla can ensure your business is legally intact. 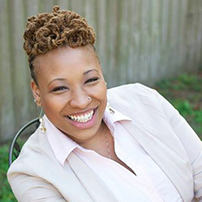 Kyla has attained her Bachelor of Science in Criminal Justice from Florida Metropolitan University, her Maters of Science in Corporate Organizational Communication from Northeastern University as well as her life coach certification. In addition, Kyla has completed all doctoral classes at Walden University for her Ph.D in Law and Public Policy. For more information and insight on the services KylaNicole offers, please check out her website www.KylaNicole.Org.